Gitora 2.0 enables developers to clone, fetch and pull code from remote Oracle Databases. An important step to use these features is to establish a connection between source (i.e. 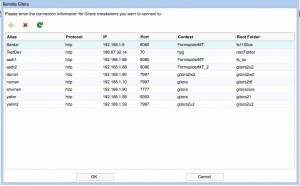 remote) and destination Gitora installations This tutorial explains how to create this connection. 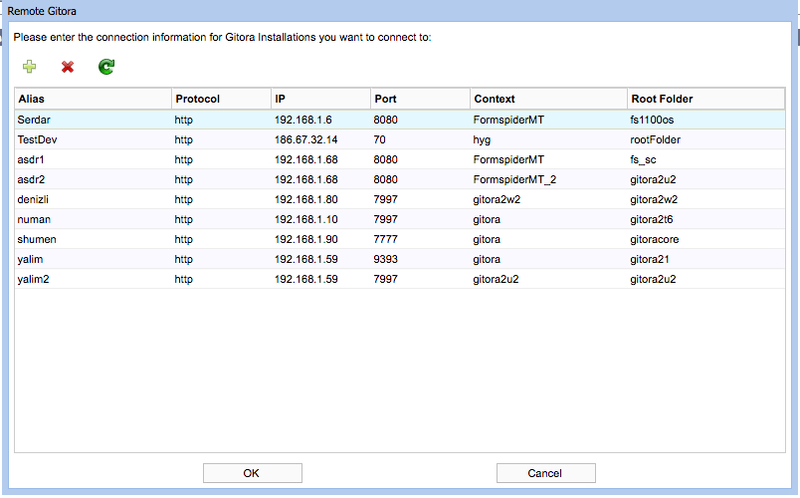 In order to be able to perform remote database operations, Gitora must be installed to both databases. Open the Gitora Application for the destination database. Under the menu bar click File –> Manage Remote Gitora Connections. The Remote Connections Dialog shows up. Alias: A descriptive name for the Gitora Server of the source database. (No spaces or special characters. IP: The IP of the Gitora Server of the source database. This information can be obtained from the URL of the Gitora Application of the source database. Port: The port of the Gitora Server. This information can be obtained from the URL of the Gitora Application of the source database. Root Folder: Name of the database schema of the Gitora installation in the source database, in lowercase. Git Daemon Port: (For Gitora 3 only) Enter 9418 to this field. 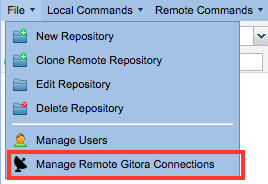 Your Gitora installation (destination) is now ready to clone, fetch and pull from the remote (source) Gitora installation. Important Note: Gitora 2.0 assumes the presence of a secure network. In other words, do not use public IP addresses for connecting to remote Gitora installations. Authentication to connect to a public Gitora installation will be implemented in a future 2.x version.